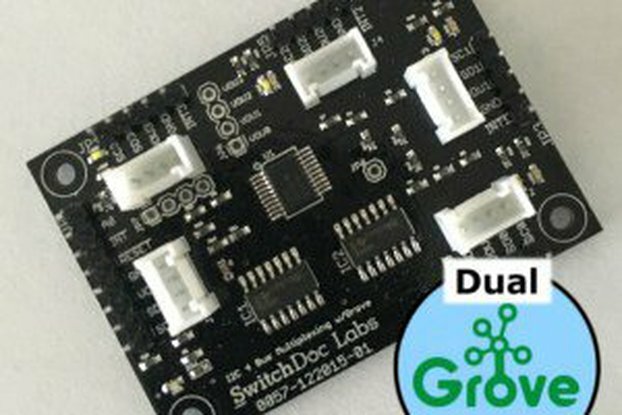 12 channel open drain Power Board® for Arduino- i2c - MODBUS with POWER MOSFET STB16NF06L transistors. 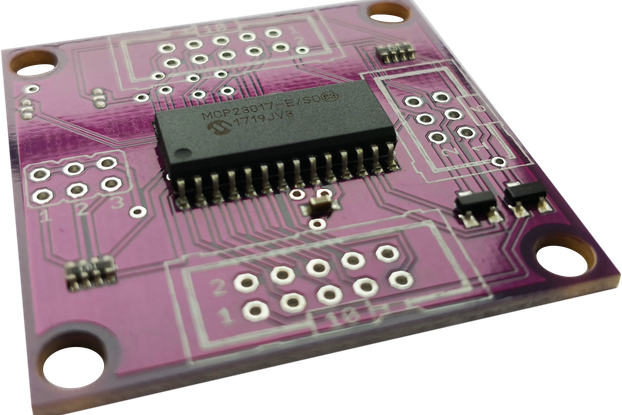 The board was designed to control home and industrial (modbus) electric devices. It can be use to control external relays. 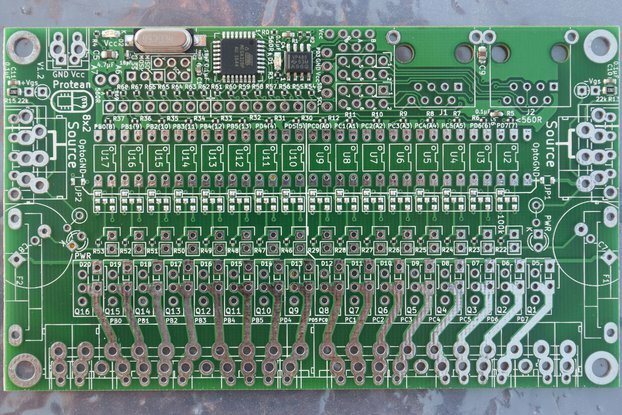 Or you can connect up to 60V to transistors and control electric devices without external relays. Check STB16NF06L data sheet for more information. Check the video for an example of use. 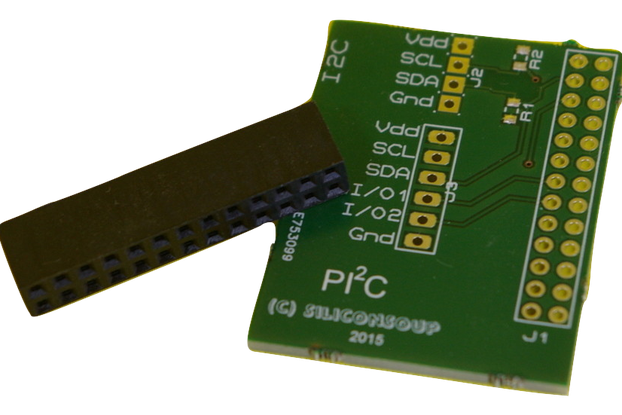 i2c - You can connect up to 8 boards to one i2c bus - up to 96 open drain outputs. 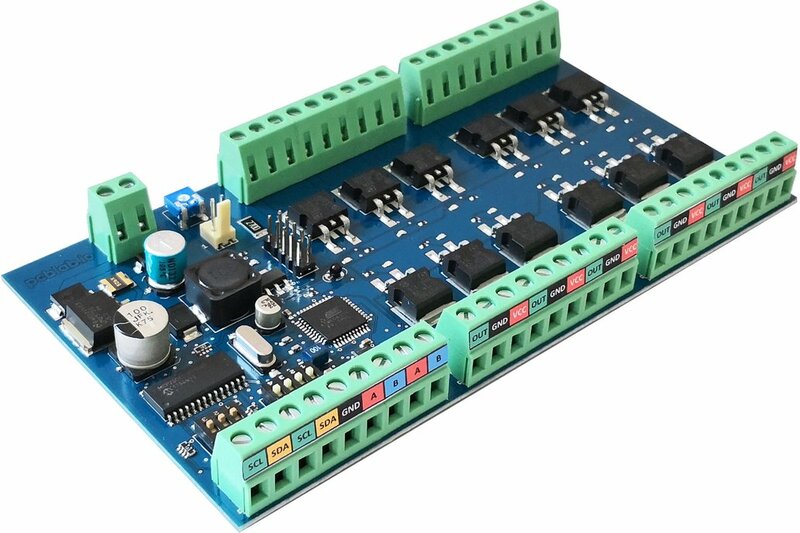 MODBUS - The board is equipped with SN75176A Differential Bus Transceiver - so the board can communicate with other devices with MODBUS communication protocol. Fan connect option - to cooling the transistors. Fan is controlled by a thermistor - smooth increase of the fan's rotation as the temperature rises. The board is designed for the ITALTRONIC 05.0901530 DIN Rail Modulbox.